This morning, the Dow Jones Industrial Average is ticking higher as traders kick off a short Thanksgiving trading week. The Dow showed a positive trajectory as investors anticipate the Federal Reserve to hike interest rates next month thanks to positive economic momentum in the United States. On Friday, the Dow dipped 35 points after a downturn in healthcare stocks and the dollar pushed higher against a basket of global currencies. The U.S. dollar's surge pushed gold prices to a five-month low of $1,208 and silver prices down 1.1% to $16.58 per ounce. The Dow Jones Industrial Average projected a 21-point gain in pre-market hours as investors absorbed statements from Federal Reserve Vice Chair Stanley Fischer. An uptick in oil prices was pushing energy stocks higher. Despite all the posturing by talking heads, the price of gold has been sliding in recent weeks. The expectation of another rate hike by the Federal Reserve and relative stability in the wake of Donald Trump's election has pushed gold prices down to $1,215 per ounce. So where do gold prices head from here? Money Morning Resource Specialist Peter Krauth breaks down where gold prices are heading toward the end of 2016, right here. 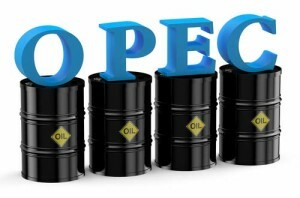 The price of oil was ticking higher in pre-market hours thanks to increased optimism that OPEC will strike a deal to cap crude production in order to support prices. The global oil cartel will meet next week in Vienna, Austria, at a time that tensions are very high. Money Morning Global Energy Strategist Dr. Kent Moors has inside knowledge of the OPEC deal, and he says that uncertainty surrounds OPEC's November meeting. Check out his latest column that explains why this deal is in doubt and what it means for energy investors. But the big news this morning is Donald Trump's nomination of Sen. Jeff Sessions (R-AL) to the role of Attorney General. The Dow is now within striking distance of 19,000, and the "Trump Bump" rally shows no signs of stopping after hitting numerous record highs over the past eight trading days. Money Morning Chief Investment Strategist Keith Fitz-Gerald breaks down how you can get the most possible upside as an investor from the Trump victory. Go here, right now, to listen to Fitz-Gerald's latest insight and start profiting from one of the biggest political shifts in decades. In deal news, shares of Lifelock Inc. (NYSE: LOCK) gained more than 14% in pre-market hours after the firm announced plans to sell itself to online security giant Symantec Corp. (Nasdaq: SYMC). The deal is valued at roughly $2.3 billion. Meanwhile, shares of Headwaters Inc. (NYSE: HW) added more than 15% on news that the U.S. construction firm will sell itself for $1.8 billion to Australian giant Boral Ltd. (OTCMKTS ADR: BOALY). Shares of Facebook Inc. (Nasdaq: FB) gained more than 1.2% in pre-market hours on news that the social media giant plans to repurchase roughly $6 billion in shares. But that's not the only reason to be bullish about FB stock. Money Morning breaks down why this stock is poised to double in the next four years. Check out our latest insight on FB stock, right here. Look for additional earnings reports from Palo Alto Networks Inc. (Nasdaq: PANW), Jack in the Box Inc. (Nasdaq: JACK), Sina Corp. (Nasdaq: SINA), Brocade Communications Inc. (Nasdaq: BRCD), Tyson Foods Inc. (NYSE: TSN), Vipshop Holdings Ltd. (Nasdaq: VIPS), Wiebo Corp. (NYSE: WB) and Canadian Solar Inc. (Nasdaq: CSIQ).